Come chill with us at your favourite lake side camping spot! Pitch your tent and spend the weekend basking in the sunshine. 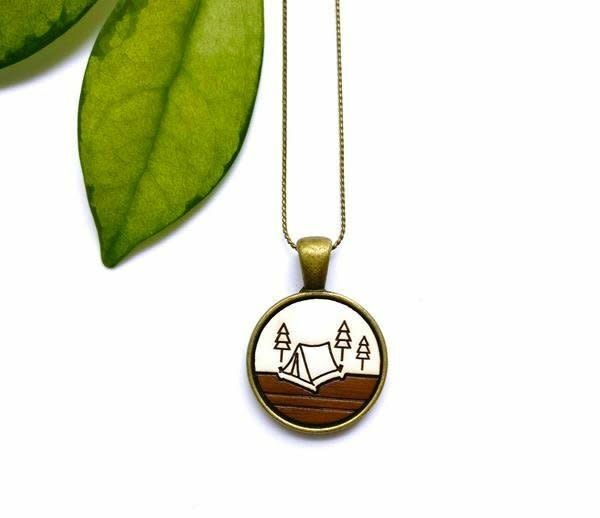 This beautiful necklace will remind you of being a kid again, hanging out at the campsite and chilling in nature. 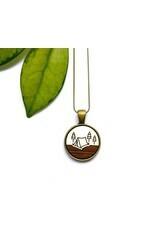 Each necklace has been sealed with multiple layers of matte varnish to help protect it from the elements. Care instructions: Remove before swimming and bathing. Avoid contact with water. Handle with care.